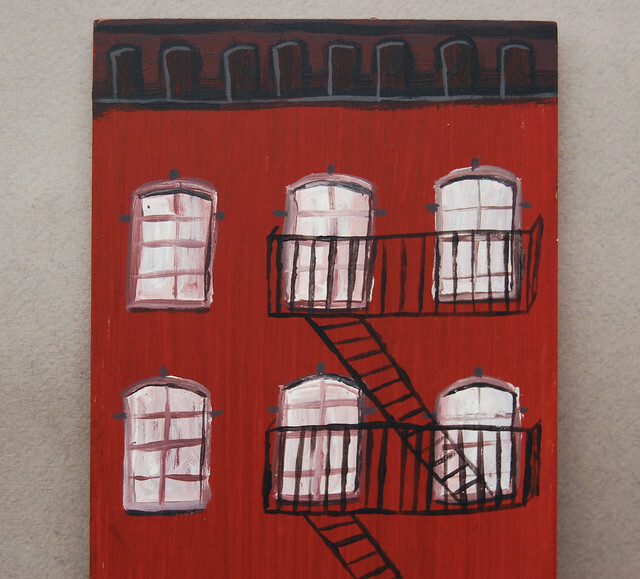 A birthday gift for Lion, in case he finds himself missing the buildings of Alphabet City. 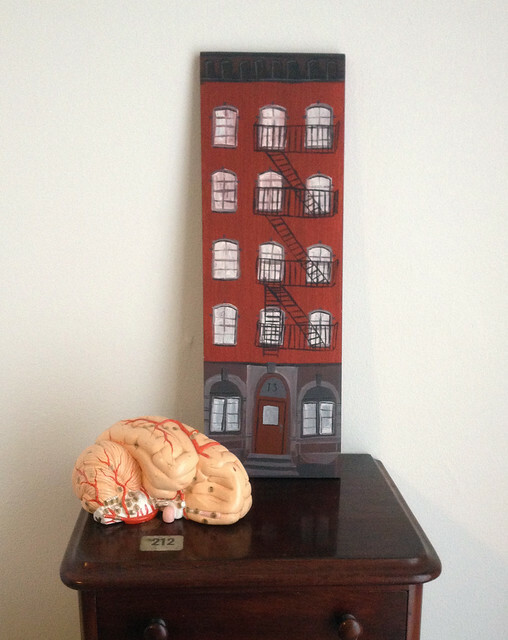 Now on display next to our wooden half-a-brain. It's hard to get any sense of scale from these photos I realise, but that's a realistically sized brain, so the building is about 18" x 6", painted on wood. It's funny working with acrylics on a non-absorbent surface after so much time mucking about with inks and wet paper and so on. I like the way the paint resists being applied. You get all these stops and starts in the line. Or I do at least.